Full disclaimer, this of course will be a subjective post. However after being in the Child care industry for over 10 years, our Educators have learned a thing or two when it comes to what ‘the best child care’ means. This includes what it means to parents, what they know their child needs but also important factors they may not have considered. Sending your child to Child care after they have been at home is a big deal. The chief objective is to ensure a seamless transition from home life to day care with a welcoming and warm environment the child is comfortable in. This is one of the reasons why we created our Child care checklist which has been used by parents Australia wide in their search for a quality child care facility. 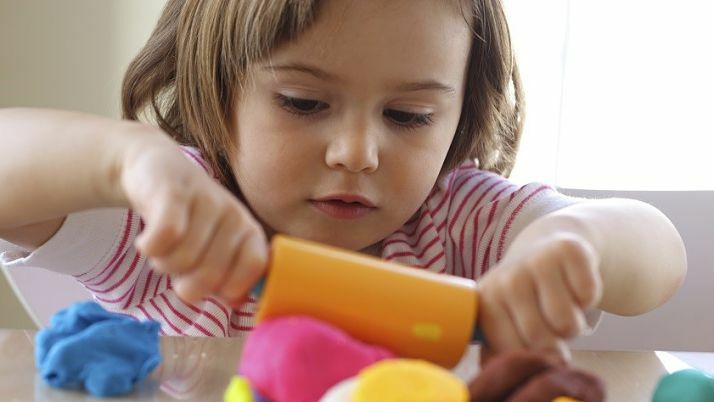 So how do you know if you’ve found the best child care for your child? Here’s six areas of consideration you should be evaluating to give you confidence in your choice. 1. Location: Close to home or work? With the hustle and bustle of getting out the door kid/s in tow, beating traffic and making it on time to work, location really is one of the first things you need to consider. A child care centre close to home may work for you, however, a centre near work may actually be more practical and convenient. Not only will you get more time to spend with bub in the morning, you’ll avoid the stress of trying to make it on time after work. Most child care centres will offer some leeway for going over (ask about this one too!) but overtime rates will add up. 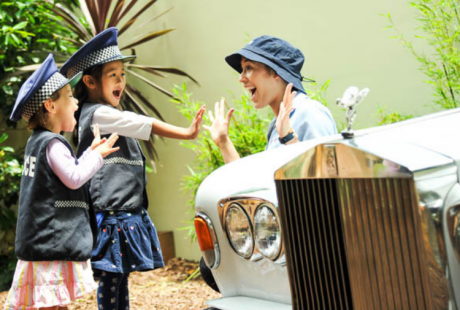 If you are opting for the convenience of an inner city Child care centre like Kids Club however, you’ll want to know how close to public transport the centre is and whether there is onsite parent parking available. Fortunately at Kids Club, all our centres are within minutes of train stations and offer onsite parking zones for parents so city parking is one less thing parents need to worry about. Whether you select a centre in the inner city or not, it shouldn’t feel like a concrete jungle in the centre. That’s not fun or healthy for anyone. About 90% of the body’s vitamin D is produced when sunlight hits the skin. Vitamin D is a particularly important compound for the development of little bodies. In addition, recent studies also suggest too much time indoors damages children’s eyes and can lead to short-sightedness. Kids Club are big supporters of national standards to make architecturally designed centres that maximise sun light a mandatory condition for operation. Unfortunately this isn’t the case in Australia and not all centres are equal. 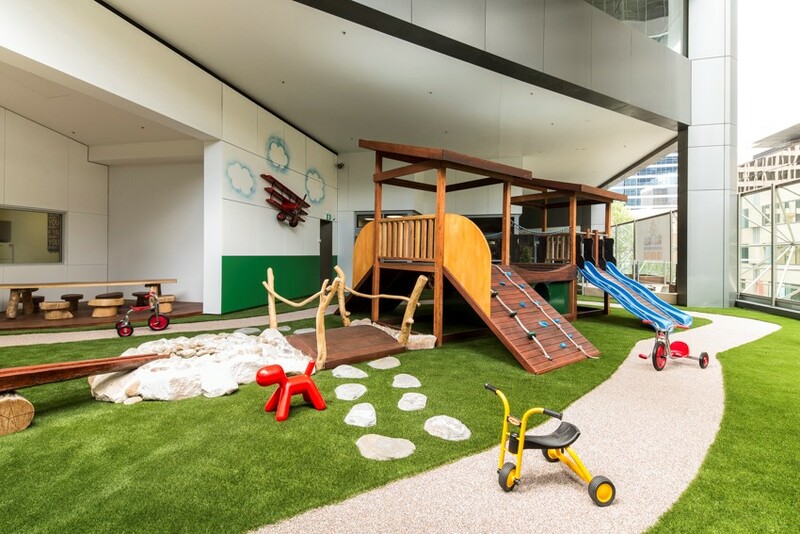 We suggest checking out the natural light exposed play spaces on your site tour as well as asking questions around what hours of the day the play spaces receive unblocked natural light exposure. This is particularly important in a city-based centre with high rise buildings. Being in the city should not compromise exposure to natural light if designed correctly. In addition to spending more time bonding with your child to and from work, there are other advantages of being close to your child during working hours. The first one is being able to see your child at lunchtime or when you have a gap in your day. However, not all Child care facilities are flexible this way or have the security technology (e.g. biometric fingerprint scanners) to make this a possibility. 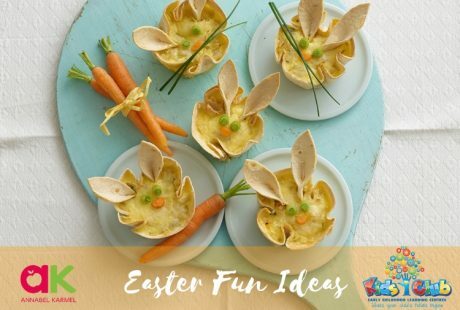 Kids Club child care have an Open Door policy which allows parents to visit their children during lunchtime or even take them out for a lunchtime treat. Being able to visit your child on their birthday for example is great way to still be involved on their special day and not miss important milestones. Provided the visit time does not conflict with scheduled activities or nap times for instance, the advantage of seeing your child when you’d like to should be there. The second reason is more related to emergencies. Being just a few suburbs away if something goes wrong can feel like a country away. Being able to be there for your child within minutes if they were sick, injured or required your assistance is important and gives parents peace of mind. Are there formal daily/weekly programs? Does the centre follow the Early Years Learning Framework? If so, does the centre do anything beyond this framework? Can you get access to an actual daily learning journal or daily updates? What type of activities will your child be involved in? The key thing here is you want Child Development not just Child Minding. Also ask questions around what learning philosophy the centre employs? A learning philosophy goes beyond the National regulations. It is the strategy and approach a centre employs to creating a learning friendly environment. 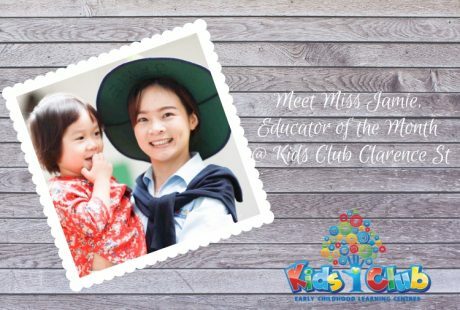 At Kids Club, we’ve created the Education for Life program which is based on the Early Years Learning Framework. The program is uniquely designed with a focus on the five learning outcomes for children aged 0-5. One of the tactics Education for Life employs is the concept of Child-Led Learning, the idea that Children learn best when their learning process is based on their individual personality, strengths & weaknesses. If you’re a parent (and this author indeed is) you’ll know feeding a fussy child can be a bit of a mission. But what about when you’re not there to physically watch them eat? How will the centre facilitate fussy eaters? Will your child go hungry? What programs are in place to help children receive their dietary requirements? And the big one: What about allergies?! All of these are normal questions that come to minds of parents, especially when seeking out child care for the first time and the line between genuine concern and paranoia can be blurred! Do my fees include meals? Where do the meals come from? This is a key one, especially considering the importance of healthy nutrition. Are current menus readily available or displayed on the wall? How does the centre encourage healthy eating? Are there any activities associated here? Can the centre cater for children with dietary requirements? All Kids Club centres feature onsite commercial kitchens and a professional chef. This means healthy, fresh food is prepared at the centre under the most stringent health and safety conditions. Being in control of food can also reduce the chance of external contamination as well. Last but not least, the final area of consideration is experienced educators; the actual people who will be involved with taking care of your child on a day-to-day basis. Be sure to ask and speak to the actual carers that will be in the room your child would be in. Even basic, general small talk questions will reveal a lot of their personality, their passion for working with children and their general demeanor. Also, determine what the child-to-staff ratio currently is and where the centre has any unique strategies around this. Child-to-staff ratios are dictated by the National Quality Standards but there are ways quality centres will go beyond this. For instance at Kids Club, every child will have a Primary Care Giver. This is the person that the parent will deal with most of the time with. The Primary Care Giver is also instrumental in the developmental milestone achievements of a particular child. If the centre you are visiting will have a Primary Care Giver, ask to speak to this person if they are available. Additionally, use your centre tour time to be cognisant of how the team interacts with each other and the children so you can an idea of not only how they deal with children but also the workplace culture at the centre. P.S – Don’t forget to download our Free Childcare Checklist.